Well, it is about time. I was beginning to wonder when the market would wake up to the downward shift in what has been driving the markets higher since 2009. If you have been following me awhile you know it is not the economy. Well, not in the assumed way. For the last 8 years, the stock and bond market were driven higher due to the fact that we were in the weakest economic recovery in 60 years. It gave the global central banks an excuse to keep pumping “liquidity” into the canyons of wall street. When it did not help the economy, they simply told us that obviously they needed to do more of what was not working longer. For years now we observed whenever the economic news remained weak (or better yet came out weaker than expected) the stock market surged higher – it meant more easy money would flow into the financial markets. The former Federal Reserve Chairman even wrote a book about it after he went to work for a hedge fund that made a killing on his policy decisions – Courage to Print Act. And because the financial markets were showered with “stimulus” every time they hiccuped, they lost all sense of valuations and risk. The financial markets believed the central banks had their backs so don’t worry, be happy. We may go past neutral. But we’re a long way from neutral at this point. In other words, interest rates are no where close to where they are going to end up. This did not surprise us, but it is not what the markets were pricing in. And this caused a rare surge in Treasury rates… but it gets better. Even long-term rates that everyone and their brother thought would not go up, reversed their 40-year declining trend and broke out to a rising trend. Many believe the stock market will start having real problems when rates approach 3.5%. If the new seasonal pattern holds, we should be their before March. On 2 October I sent a market update to my members and provided the following comments and chart which is still in effect. Currently we are seeing divergences in the markets that signaled the 2015 market corrections (see chart in market commentary). First overseas markets did not recover from the early 2018 correction and continue to weaken. And as of mid-September we see divergence within the US indexes. Small cap stocks often lead on the way down which has us watching the current divergence of small caps which are pulling back while the SP500 makes marginal new highs. Within the SP500 universe we also see the same divergence with the largest companies out-performing the rest of the companies. Meanwhile interest rates are taking another small step up. Subtle signs proceeded the current pullback in the SP500. I have no predictions on how long the market will pullback this time, but the setup looks similar to previous deeper corrections. We also know this year is a record year for corporations buying back their own stock using both funds brought back from overseas thanks to the tax plan and also by using debt. So once these funds dry up, the real fireworks begin. Since a handful of companies are responsible for the bulk of the buyback dollar value, the larger universe of US stocks may struggle. So it’s getting interesting and it’s time to get the popcorn out again. 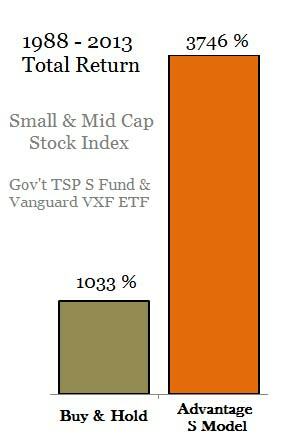 You are welcome to follow our free blog or better yet join us for market alerts and insight into your TSP funds. If you are new to our blog, you might want to read a few recent posts to understand we are not like others who simply report what your funds did in the past. We study the past to look forward. If you want a hint on why this has been the weakest economic recovery in decades, its fairly simple. Since the economic model they call GDP is made up of 70% consumer spending, look at what happened to consumers after 2007. The post financial-crisis recovery was the slowest ever because consumers were forced to deleverage – reduce debt. There are other reasons, but it is hard to grow an economy when consumers are retrenching. But now household debt is climbing again and economic growth is picking up. For how long? We have our opinions. But more important to your nest egg, the Fed is finally ending emergency monetary policy. Unfortunately they allowed conditions to exceed the conditions that caused the 2007 financial crisis. So I expect the next economic slowdown to be caused by another financial crisis and not the other way around. Kind of like the last one. They never learn. But you can. Our Fall Summary Report will be posted on our website for all members later in October. You can catch up by reviewing our Spring and Summer Summaries by joining our most basic (low cost) membership.